All businesses need marketing. Be it a small enterprise, a medium-level company, or a large corporation, marketing is essential for any business to both be profitable and sustainable. But before any marketing campaigns can be conducted by an organization, a proposal samples is usually prepared to outline a plan of action for the business. Social media has become one of the most used marketing tools over the past few years. More and more companies are utilizing social media in their marketing campaigns, and customers have responded well to these efforts. 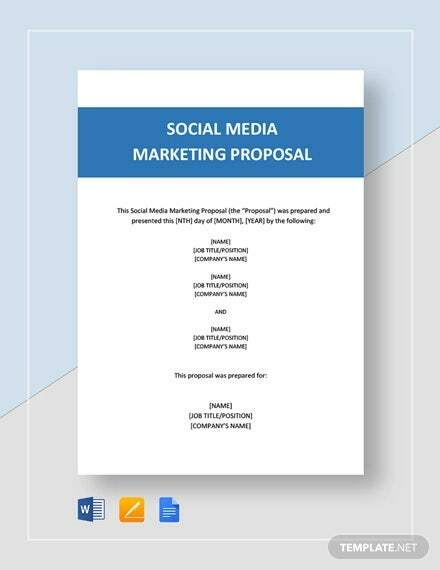 As technology continues to take over business operations, social media will likely play a larger role in a business’ marketing schemes especially when it comes to making marketing proposals. 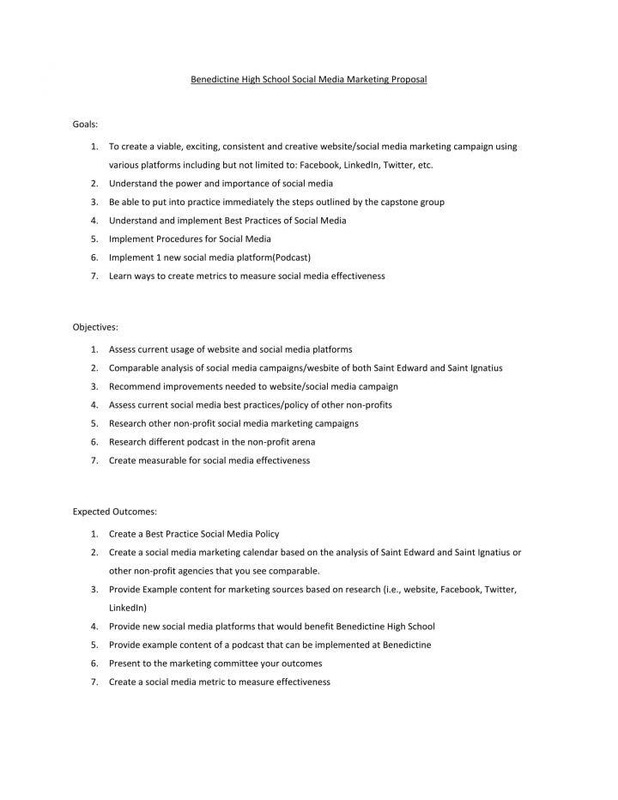 If you are involved in heavy social media marketing and advertising work, here are some social media marketing proposal checklists and guides that can help you prepare your next proposal. 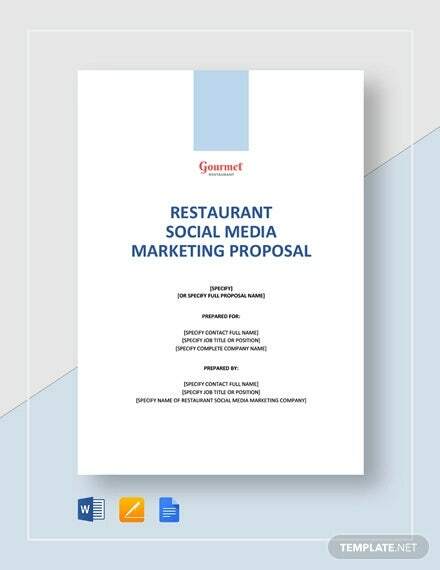 Social media marketing proposals, or business proposals in general, do not follow a single format. The proposal’s contents and writing style depend on the creators of the proposal. Not all companies have the same marketing needs and they certainly do not sell the same products and services, which results in the different forms of marketing proposals. 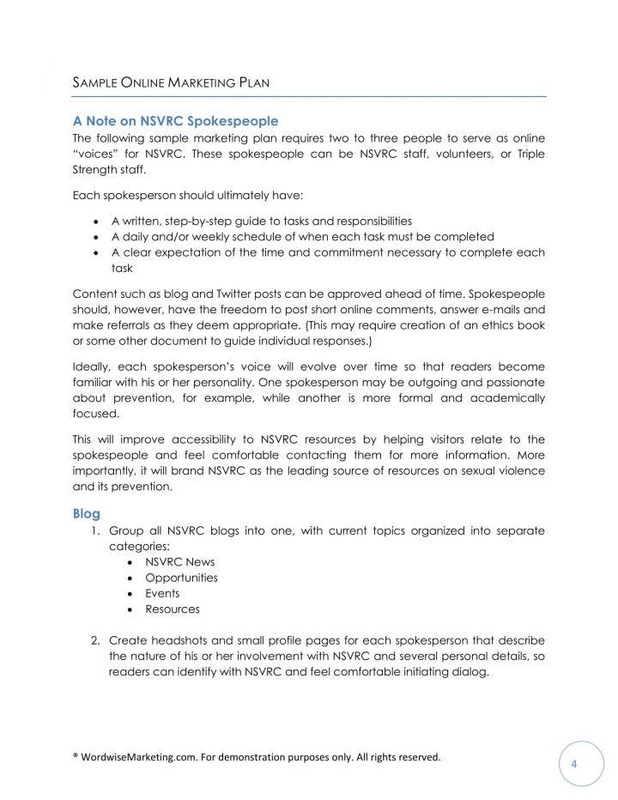 But there are some important pieces of information that should never be omitted. Check them out below. 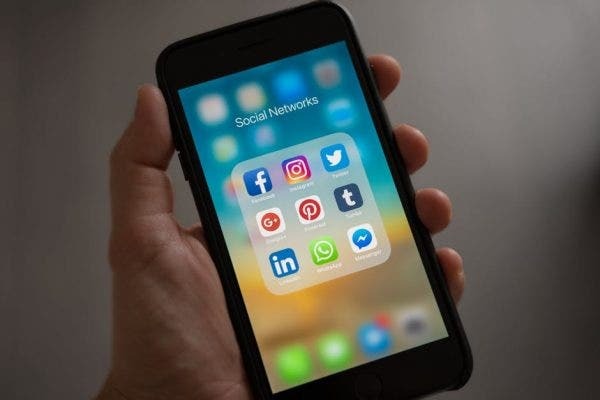 Using the right social media application can help you easily connect with your clients. Using the wrong one will make your proposal take a one-way trip to the trash bin. Social media applications, despite having the same function of letting users interact with each other, have distinct tools which make them different from one another. 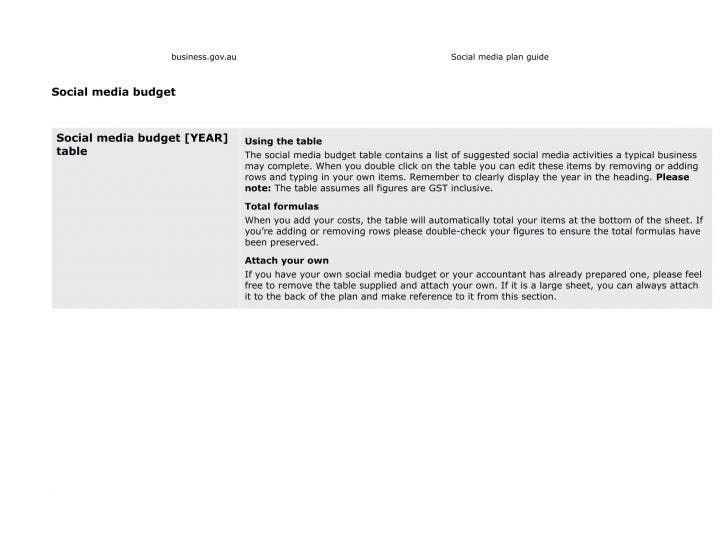 You can get information from your client on what social media he prefers to use. LinkedIn, the social media application which is best used by professionals advertising their portfolios or CVs, works more like an online resume library where companies search for possible recruits or employees. Facebook meanwhile, the world’s most popular social media platform, can handle different forms of advertising and marketing through its business page feature. 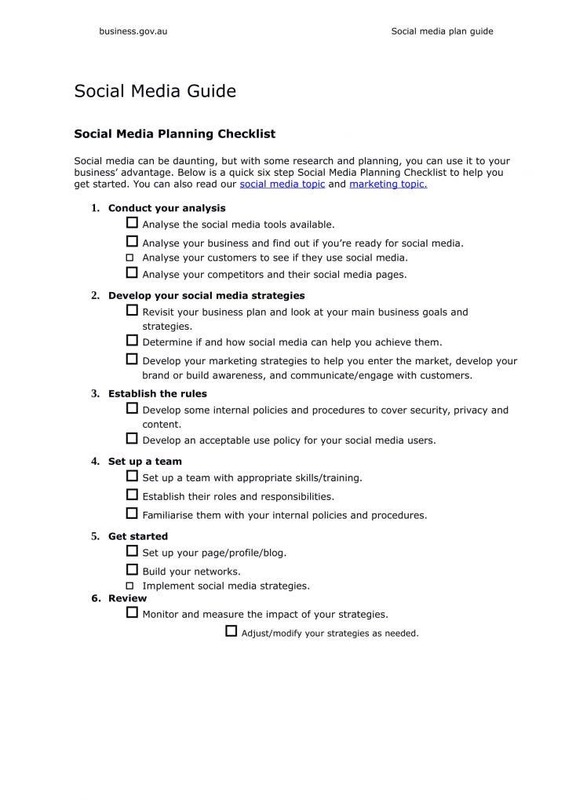 Since you will be using social media as the main marketing tool in your proposal, there needs to be a clear plan on what social media or combination of social media platforms you are going to use. If your client is unaware of social media and has tasked you to decide on what to use, go for popular apps such as Facebook, Twitter (if you use witty and short messages to interact with customers), Instagram (if you mostly use photos for advertising), and Snapchat (if you plan on using animation together with your photos). Social media has now become a very powerful tool which has been implemented in marketing strategies by both small enterprises and large corporations, so it is important to utilize it properly. Before you start making any plan or proposal, gathering the right amount as well as the right kind of information is vital to achieve the desired results for your proposal. Some of the basic pieces of information you need to obtain are the company’s name, business address (include other addresses if the company operates in multiple locations) products or services, and the names of the management team or other officers of the company. The next set of information you need to gather are the the marketing strategies you want to use and the products that competitors are selling. Identifying the competitor’s products and obtaining detailed information about them is vital for the strategy you want to incorporate in your proposal. 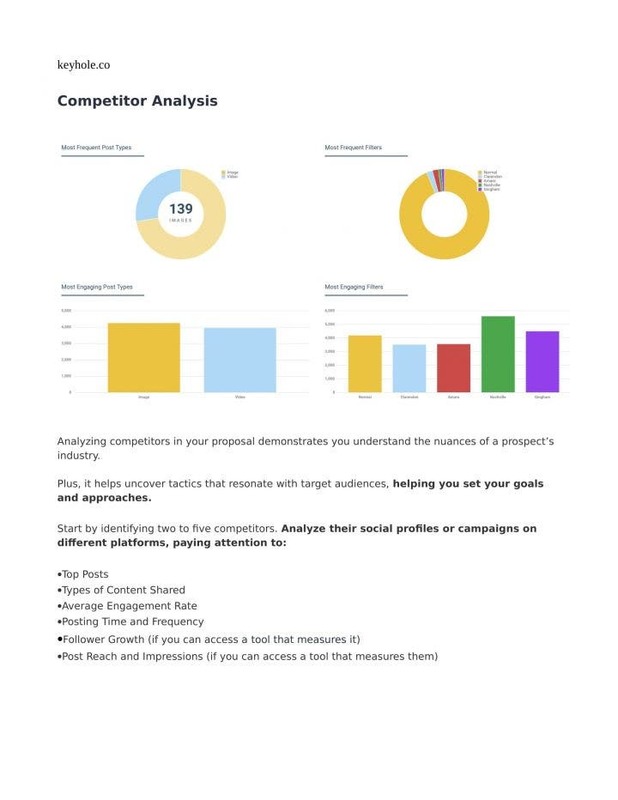 Once you get detailed first-hand information about the competitor’s products, you can easily incorporate your strategies in the proposal while making a comparison of your own products. Social media is already a marketing strategy in itself, but do not limit yourself to using social media as the only tool in your marketing efforts. It is highly suggested that you combine social media and proven (and usually effective) marketing theories used by numerous companies around the world. It does not apply to all companies but you can always do some research first before you decide to incorporate them in the proposal. Some of the more utilized marketing theories are Maslow’s Hierarchy of Needs, Porter’s Five Forces, SWOT Analysis, and Marketing Mix (7 P’s), to name a few. Marketing mix and SWOT analysis are commonly used by companies as they can present a comprehensive analysis on how the company will move forward with its marketing plan. Marketing mix is composed of 7 P’s (price, place, promotion, people, process, physical, and promotion) which allow you to list down all elements or factors in each P, aiding you in making a more detailed marketing analysis. SWOT analysis, meanwhile, stands for strength, weakness, opportunity, and threat—with strength and weakness dealing with the internal aspects of the organization (employees, management, income, brand, use of technology, etc.) while opportunity and threat deal with the external aspects (customers, suppliers, government, regional or international concerns, consumer preference, etc.). Before you start writing the proposal, make an outline first on what contents you are going to incorporate to give yourself a clear idea on what to present to your reader or client. Writing will also be easier if you have an outline. 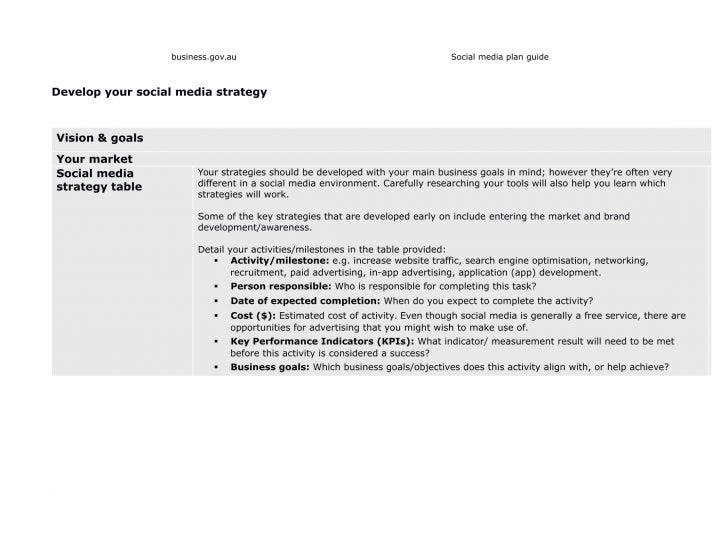 In this case, the most basic and important elements of a social media marketing proposal outline needs to answer six questions: who, what, why, when, where, and how. Who will do or manage the work? What should be the proposal’s recommendations or what will be the costs? Why is the proposal important or why should the customer choose you as the one making the proposal? When will the project start or when will the project be conducted by the company? Where will the work be accomplished or delivered? How will the project be accomplished or how will the project benefit the customer? Answering these questions and making an outline will organize your thoughts as well as your data, resulting in a coherent and informative proposal that can be easily understood by your client. The cost is probably the most important factor in making proposals. 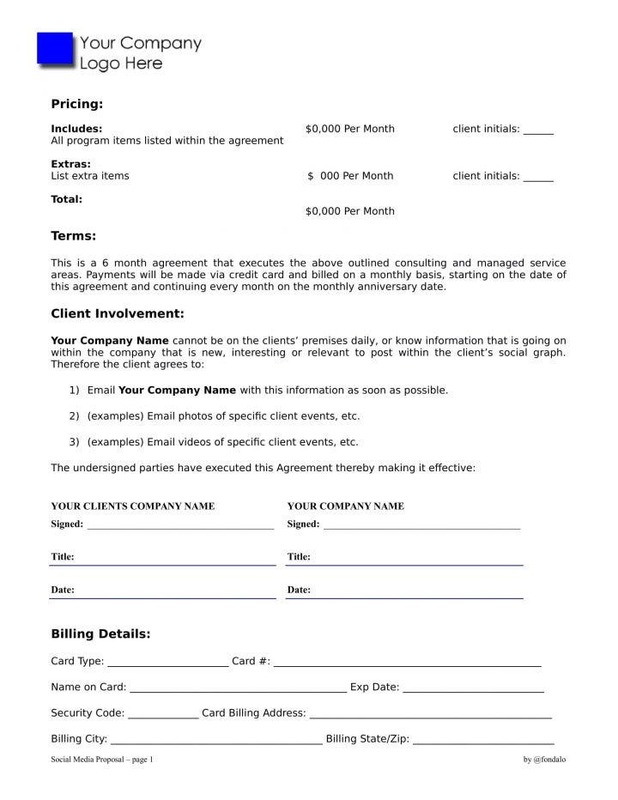 To make things very clear, cost does not pertain to the money you spend on printing the proposal. Instead, the cost we are talking about here pertains to the money or funds you spend on making the proposal such as the raw materials you need to purchase, the personnel you need to pay, etc. Listing down the costs is very crucial as you want to keep your cash flow running during the duration of your project. The most effective and highly utilized proposals are the ones that contain the most detailed information with a breakdown of each cost item or expense down to the last penny. Never leave out any expense item or intentionally omit some items to make the proposal look more appealing to your customer. The last thing you want to encounter is a frustrated client informing you that he will be spending another thousand since one item was not listed in the proposal. The worst thing that can happen is the client abandoning the proposal altogether, leaving you and the company with less integrity and more problems. Marketing proposals mostly involve financial statements. Marketing is not only used to increase visibility for the company but also to bring in sales. As previously mentioned, you need to list down all the costs. Similarly, you need to list down all the items in your financial statements (income statement, statement of assets and liabilities, financial ratios, return on investment, etc.) and avoid computation errors as much as possible. Most marketing proposals do not include highly detailed information on financial statements as they are most likely presented in financial proposals, but clients need to be given at least an overview or a summary on how they can make money from their social media marketing project. Every item you list down in your financial statement will be studied and analyzed by your client, and they will base the results on your computations. So eliminate errors in your computations in order to provide your client with the most comprehensive, trustworthy information. CRM (customer relationship management) is a system developed and used by companies to better manage relationships and interactions with customers and potential clients. CRM is a form of management system which was revolutionized in the advent of better and faster automation in technology. CRMs act both as a storage for your leads or contacts and an analytical system that can plot your next target niche. CRMs make it easy for companies to do business, but they come at a price. The best CRM software such as SAP and Zoho are quite expensive, but there are also free CRMs which do the same job at a much lower price such as HubSpot, Zurmo and Insightly. For other articles about social media, check out our other posts.